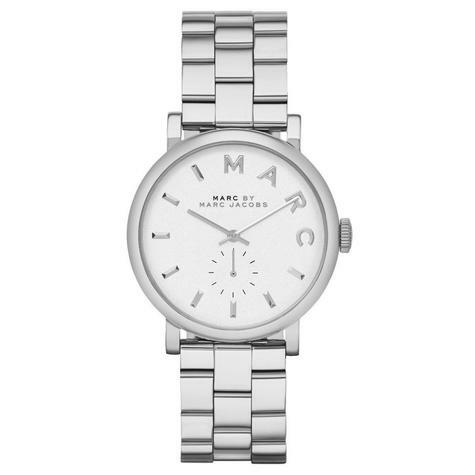 A beautiful design from Marc by Marc Jacobs. 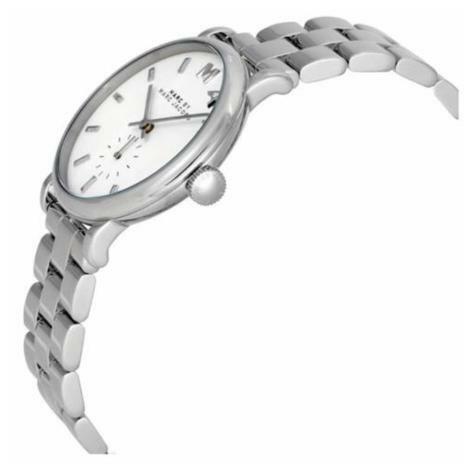 This stainless steel time piece features a round case with a white dial. 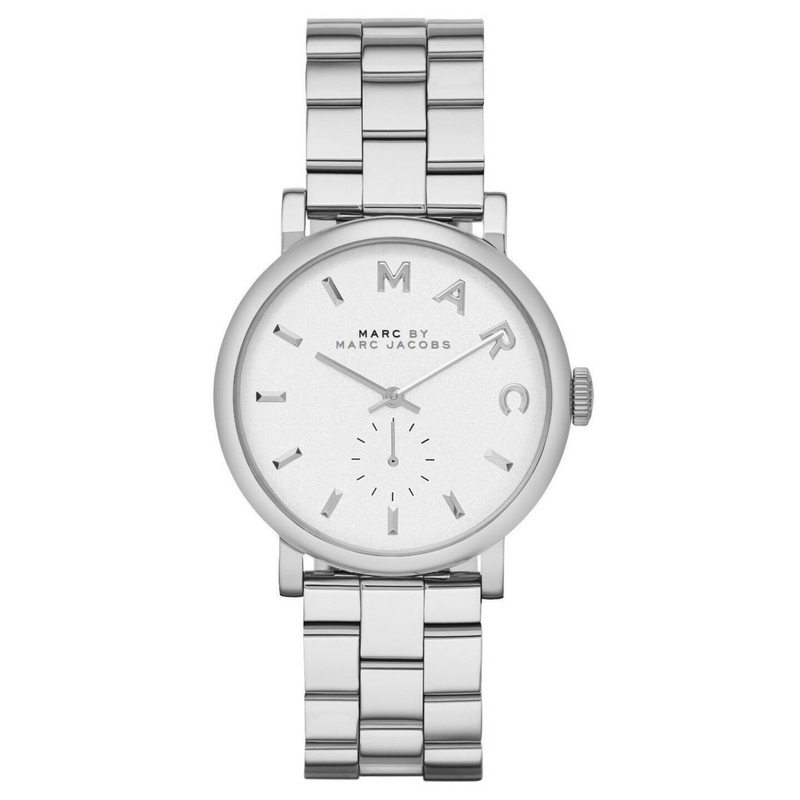 The attractive dial shows off elegant silver hour markers with four markers in letter form branding MARC. 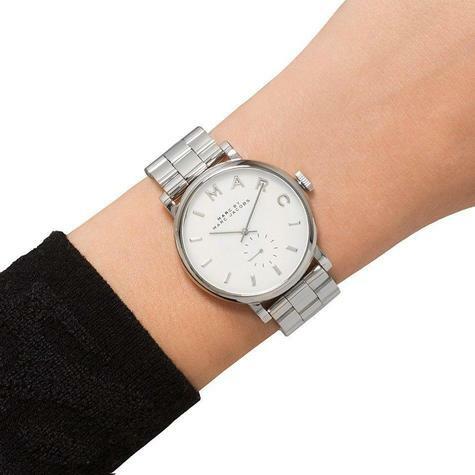 It has silver hands and a small dial with the second hand. 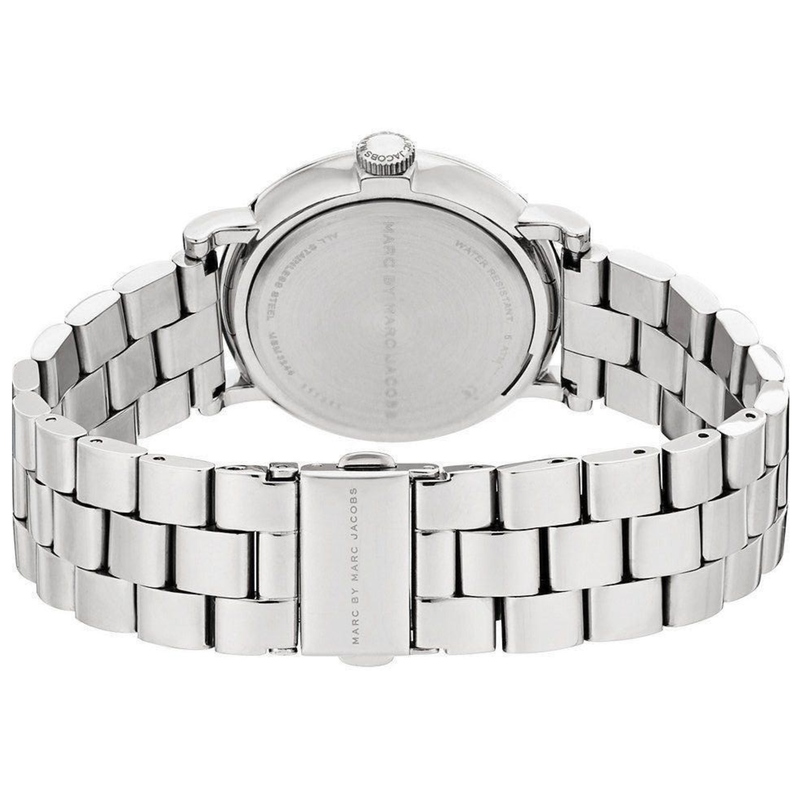 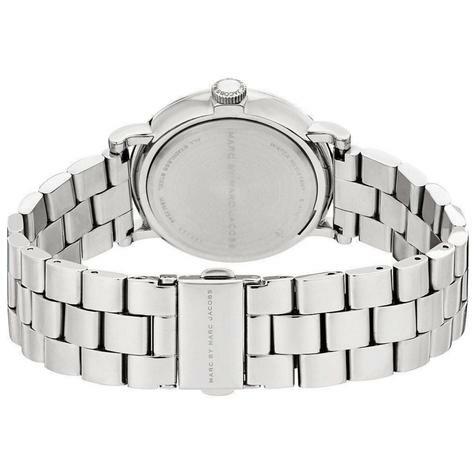 This watch fastens with a silver metal bracelet and powered by a quality quartz movement.